Needless to say, if children are involved, a divorce or breakup can be emotionally demanding. A person’s time and energy must be divided among ensuring the welfare of the child or children, managing the psychological toll of the situation, and relocating if they live with their significant other. This is a small portion of the taxing challenges that are a result of a relationship’s disintegration. The mental weight alone can be quite substantial, which is why it’s best to hire an attorney who has experience in family law matters so you can focus on healing and what’s in the best interest of your dependents. 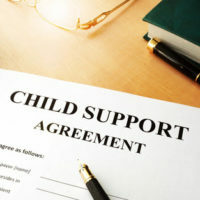 The laws involving child support in Florida changed as recently as January 2018. Many people are unaware that amendments were made, so they do not know how the modifications will affect them. If you are dealing with the difficult issues surrounding child support, divorce, or battle for custody, it’s a great idea to work with a professional who can help navigate you through the process. Having a great attorney on your side is important, but it is not enough. You also need an attorney who is familiar with Florida law and its changes. Medical costs that aren’t covered by insurance. The total amount of child support to be paid is based on the combined income of both parents and the number of children. That figure is split between the parents in proportion to their income. Additionally, the parents earning capacity is also a factor in the estimation. On June 15, 2017, the Governor of Florida signed the Senate Bill 590 into law. The new law, The Standard Parenting Plan or SB 590, became effective the first of day of 2018. It instructs the Florida Department of Revenue to furnish parents with proposed plans that provide guidance on matters related to parenting time and child support. Before the bill was enacted, the DOR didn’t have the authorization to establish plans of this nature. The best interest of the child remains a priority with parenting plans. The state of Florida does not prefer one plan over another. The Standard Parenting plan is offered as an alternative option to help parents reach a resolution as quickly as possible. Two weeks out of every break during the summer. The Standard Parenting plan is another vehicle that will allow parents to develop a plan that is beneficial to all parties involved. It’s still best to work with an experienced lawyer to ensure any agreement is enforceable in court. Experienced Attorneys in Boca Raton are Here to Help You! If you are dealing with the emotional challenges of a custody dispute, child support arrangement or divorce, the reliable family attorneys at WiseLieberman, PLLC are eager to assist you in this process. Serving the Boca Raton area, we have experience in all matters related to family law including alimony, paternity, support, custody, property division and many other domains of the law. Contact us today for help.